The first leg of our trip consisted of sightseeing in the big city of Bangkok, the second, slowing down in the northern city of Chiang Mai, finally it was time to head south to the islands for a little R and R! We chose the gulf coast islands since the Phuket side was more likely to have adverse weather (monsoon season) at the time of our visit. Koh Samui, Koh Pha-ngan and Koh Tao are a chain of three popular islands on the gulf side. Koh Samui is the largest, and where the airport is, so that is where we flew into from Chiang Mai. There are cheaper ways to get there, but flying is the fastest and we wanted to maximize our time. Our plan was to first spend a few days on Koh Tao, then head back to Koh Samui for a few more days and Robert would leave from there. Haley and I then planned to spend our last island evening on Koh Pha-ngan and attend one of the infamous Full Moon Parties before heading back to Bangkok to fly home. * I want to take a moment here to acknowledge how WONDERFUL our experience with Thai airlines was. We flew Bangkok Airways in-country and have nothing but positives to report. It was relatively inexpensive (AirAsia was cheaper but has a dodgier track record), the amenities were amazing (flight lounges with free food and wifi), they fed you on every flight, even a 30 minute one, and the employees were so friendly and professional, a stark contrast to the very rude Delta flight attendant we encountered on our way there. The Koh Samui airport resembles a large hut and doesn’t have walls which I found most charming and tropical. Once we had our bags we took a cab to the ferry station and caught one bound for Koh Tao. The ferry ride took about two hours and I won’t lie to you, it was unpleasant. The seas were extremely rough and the captain wasn’t slowing down for anything. The waves were so high they were splashing up over the top of the ferry and water was dripping down from the ceiling! Several people got sick, including the man behind me who vomited at least 5 times throughout the ride. Not. Fun. The poor pregnant woman on board practically kissed the ground when we finally docked and we weren’t far behind her! After agonizing over trip advisor reviews we had booked a villa at The Monkey Flower resort and had instructions to call the caretaker/driver Mo for free pickup. Mo arrived shortly in his white Tacoma and we were off! As we drove Mo explained to us that Koh Tao was a fairly small island, best known for it’s great diving and laid back party scene. Most of the hotels, restaurants and dive shops were located along the main road, but the Monkey Flower was HIGH up in the mountains. He gave us a cell phone with his number pre-programmed into it and told us to call him anytime and he would take us anywhere we wanted to go and would additionally set up any activities we wanted to do for us. The twisty turning drive up the mountain was a little stomach churning but when Mo delivered us to the doorstep of our villa, The Bouganvillia, it was totally worth it. It looked like a cute little mushroom house and I was instantly in love. Robert was less impressed by the fact that only the two bedrooms had AC, the other rooms only fans, but he did admit that the place looked “pretty cool”. Hi Blog! I’ve missed you! No posts from me in over two weeks…yikes! Let’s remedy that immediately. Does anyone ever go on a vacation and then feel like you need a vacation from your vacation to catch back up? Surly I’m not alone in this? 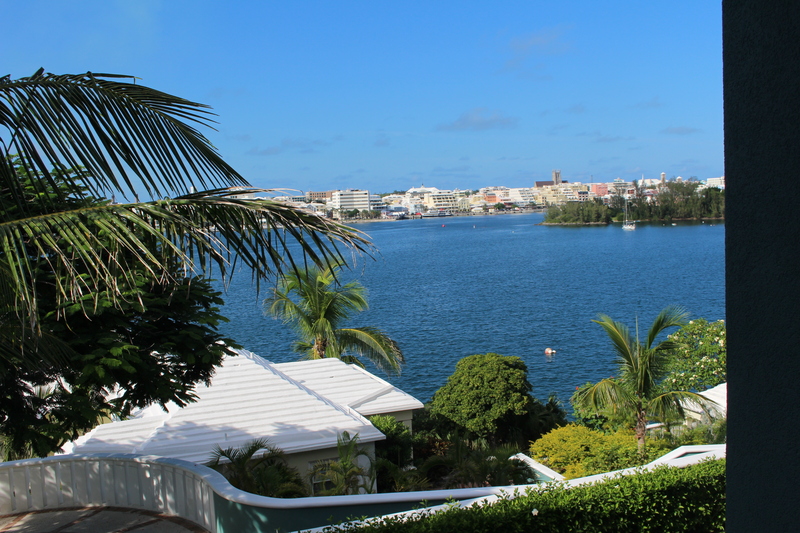 Bermuda was REALLY wonderful, but I hit the ground running full speed as soon as we returned. Between a sinus infection, lots of work to catch up on, throwing an engagement party for two friends, planning an upcoming wedding shower for two different friends (wedding season much? ), hosting football parties (Go Tigers!) and trying to catch back up on laundry, cleaning, Renly, friends, LIFE….it’s been busy. But enough about being busy because really, aren’t we all? 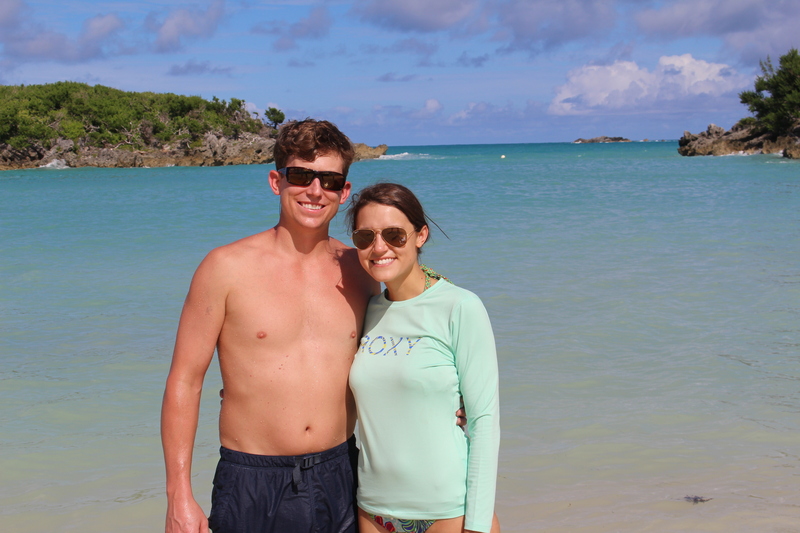 Let’s hop right into the fabulous, beautiful Bermuda recap! Now, before you start thinking that I have some fantastic, jet-setting lifestyle that allows me to travel midweek on a whim, let me remind you why we took this trip. 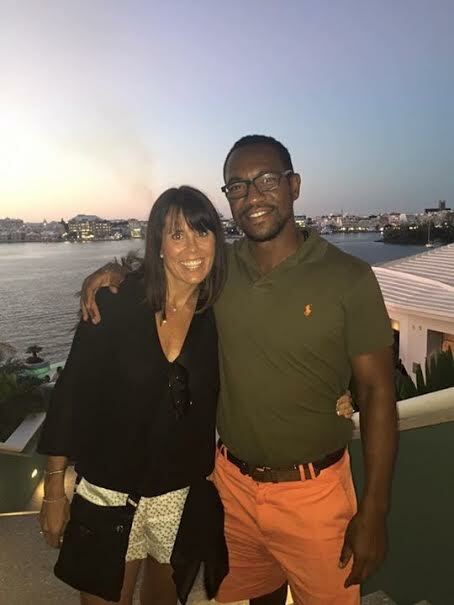 Robert and his sister (my sister in law) are exactly 10 years and one day apart. That means this September, they turned 30 and 40 respectively. Two pretty big milestone birthdays! 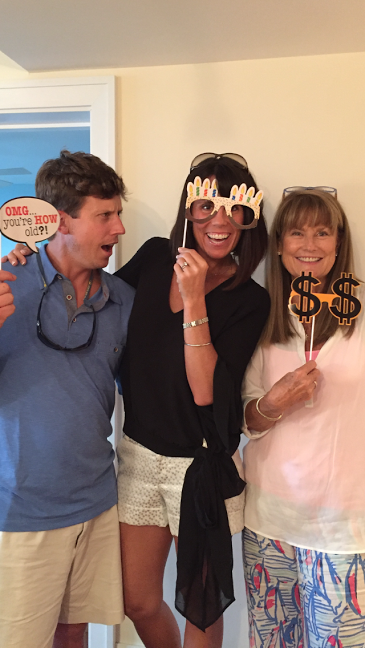 Then to top it all off, our Aunt Vanessa turned another number ending in 0 (but we celebrated it as 25 😉 the day after Robert! Make that three milestone birthdays, three days in a row! 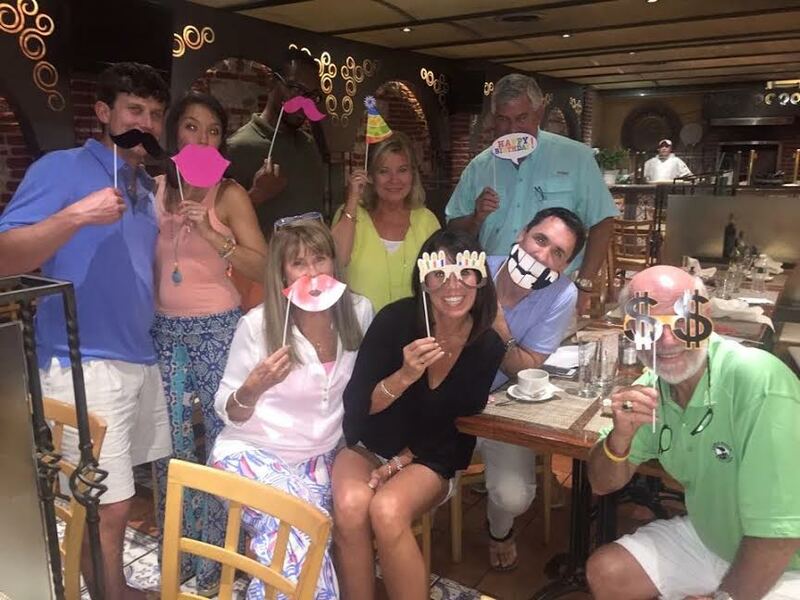 We decided that three special birthdays in a row deserved a big celebration, and Bermuda was the winning destination! We flew out of Atlanta early Wednesday morning and arrived in Bermuda around 2:00. We checked into our hotel, the Newstead Belmont Hills in Paget Parish, which overlooked the city of Hamilton. Bermuda is divided into “Parishes” rather than districts or counties. 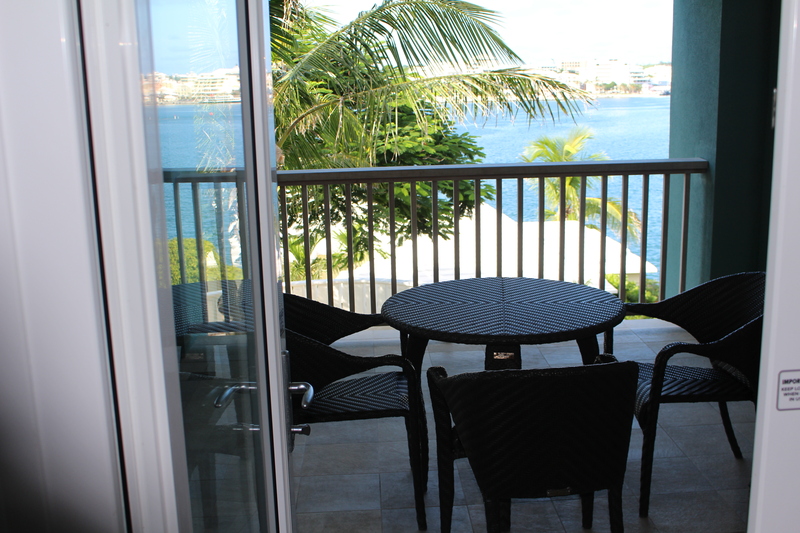 Hamilton, across from our hotel is the center of the island and capital of Bermuda. The view from the hotel was beautiful and our rooms were spotless. We shared a two bedroom condo with my sister and brother in law. 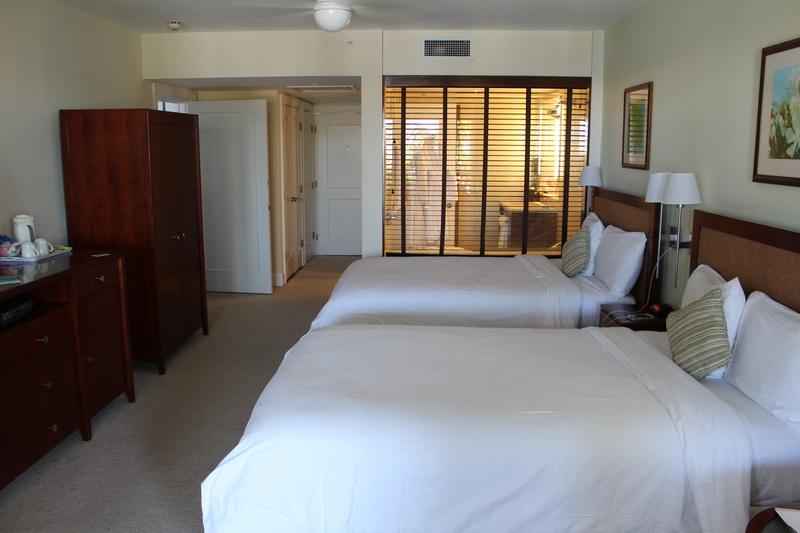 The bedrooms were on either side of a common area and kitchen and each had their own bathroom and private porch. 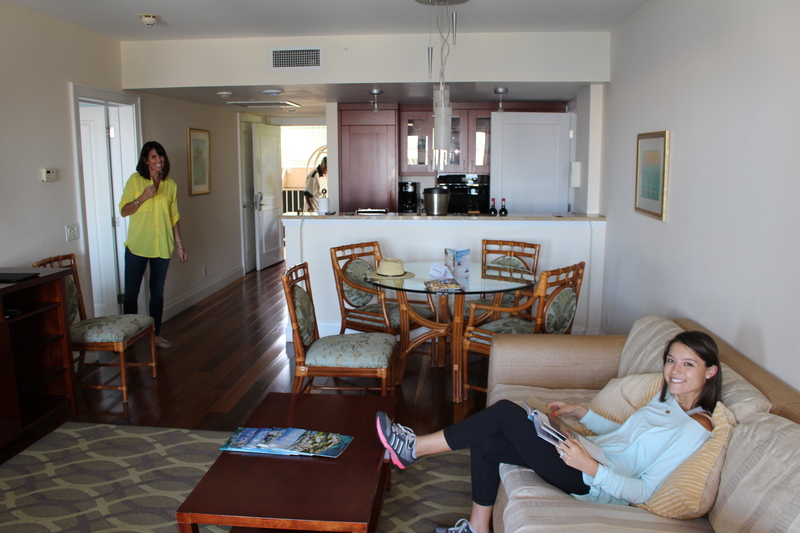 It was very spacious and felt more like a private room than a shared condo. My sister-in-law had a friend from college, Belcario, who is a Bermuda native and he stopped by our hotel after we were settled to welcome us. After a few glasses of wine to kick off the vacation we decided to head into town for dinner. It was my sister-in-law’s birthday so she chose an Italian restaurant in Hamilton, La Trattoria. Belcario joined us for dinner and happily answered all of our questions about the island while we stuffed ourselves with pasta and pizza. We decided to call it a night after dinner so we could make a full day of it on Thursday, Robert’s birthday! We woke up bright and early Thursday morning and enjoyed breakfast at our hotel before heading to Oleander Cycles to rent scooters for the day, per the birthday boy’s request! 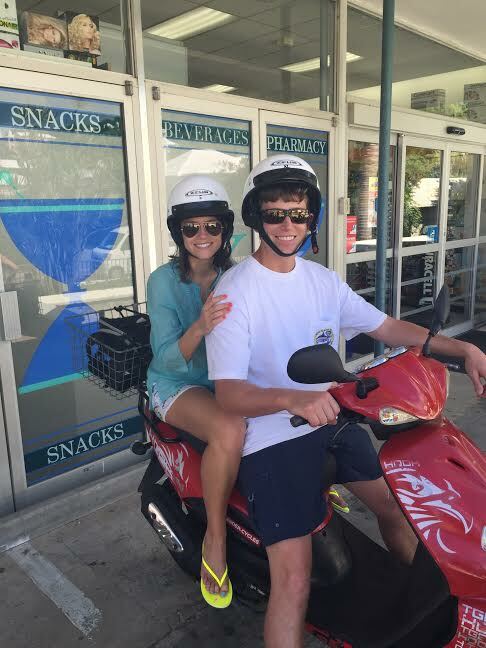 Every family in Bermuda is only allowed to have one car, so scooters are the main mode of transportation. 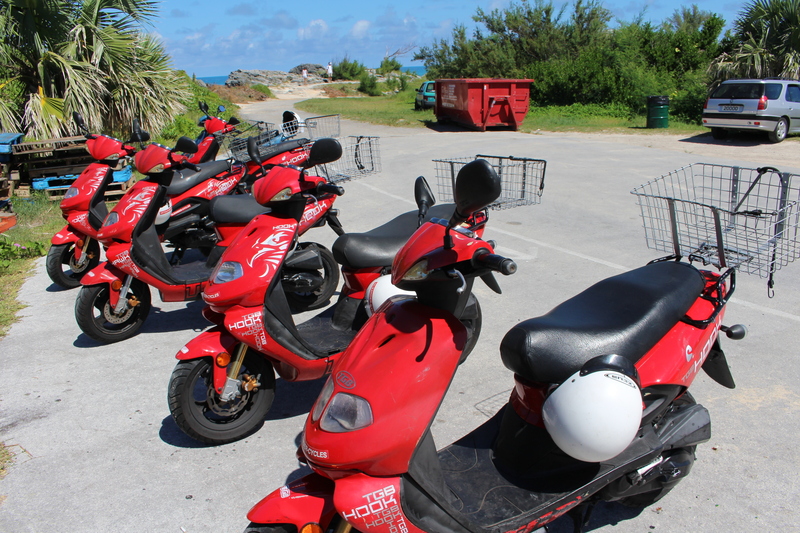 We quickly learned that the Bermudians are either brave or crazy (or both) the way they weave in an out of traffic and whip around blind corners on those things!